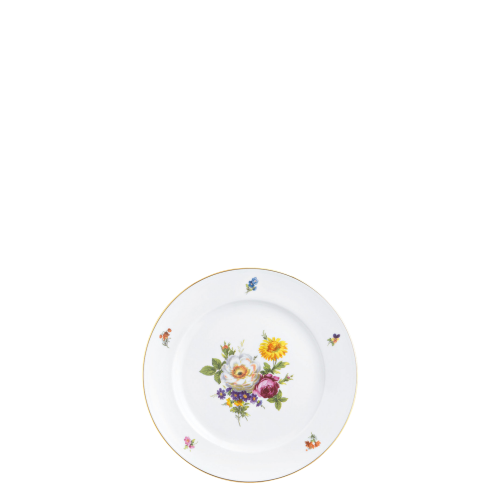 Yellow is the colour of light, and whether on painted walls, colourful textiles or as a design on high-quality manufactured porcelain will bring all the brightness and the joie de vie of a sunny day into your home. 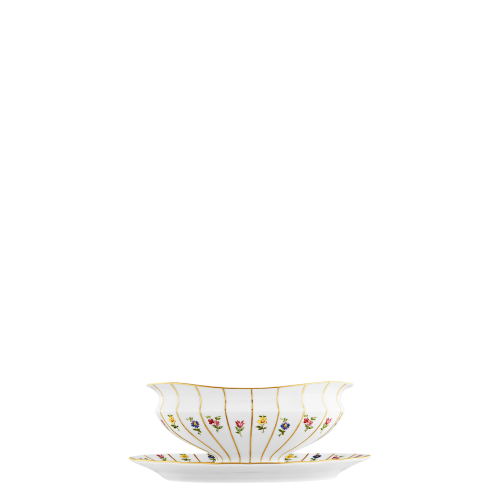 Yellow porcelain adds glowing accents to a table setting or interior. 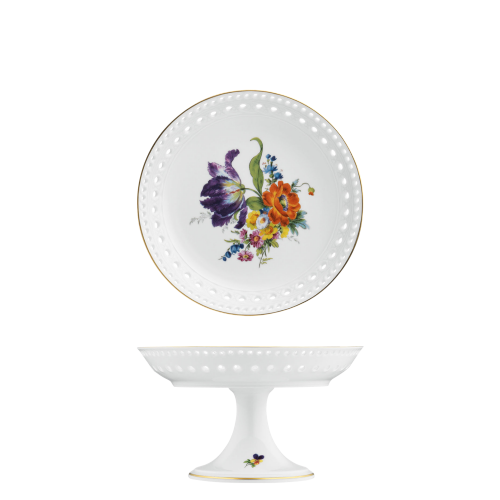 Whether delicate flowers or large-scale patterns, a soft pastel or intensive yellow, whether vase, tableware or figurine, the colour of the sun represents optimism and conviviality. 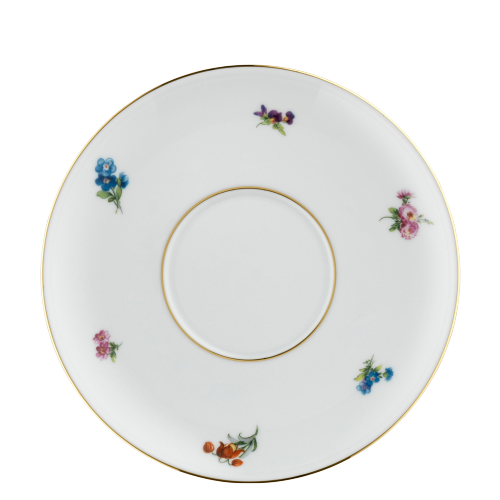 Specifically placed, porcelain with a yellow pattern will bring warmth into the room and ensure a happy mood at the table. Try it and see! 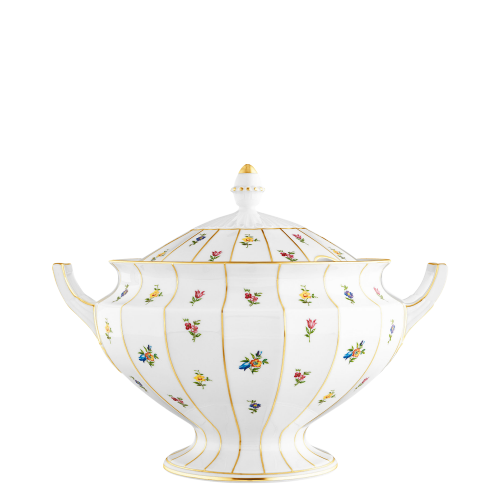 When bright yellow meets elegant gold, then the results on porcelain by FÜRSTENBERG are very special, gleaming designs. 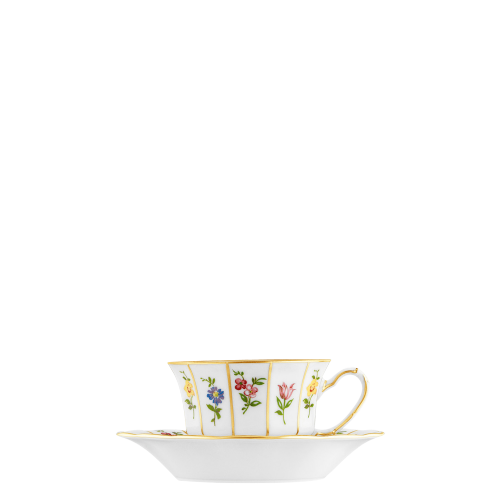 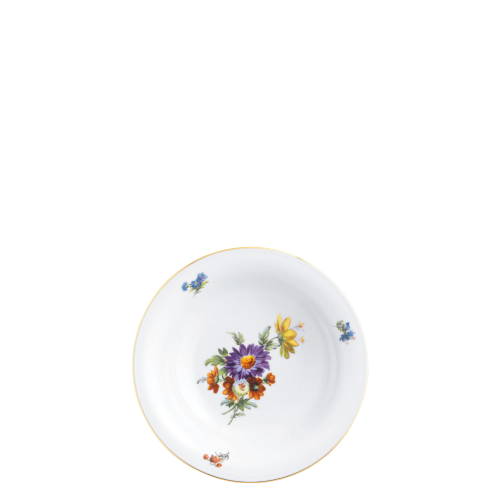 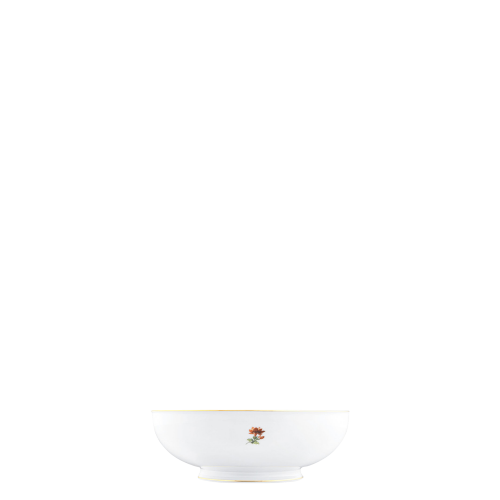 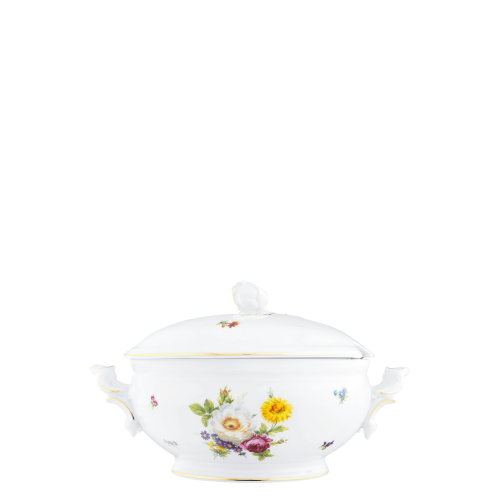 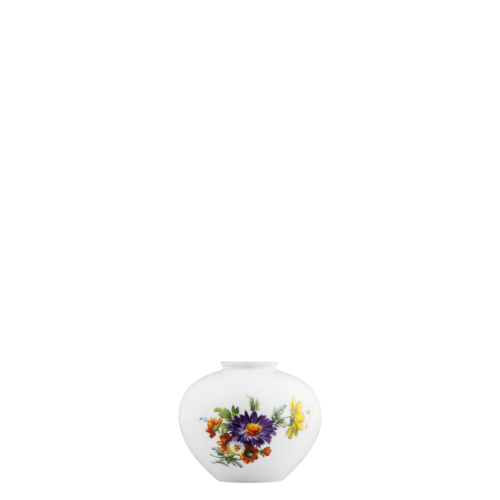 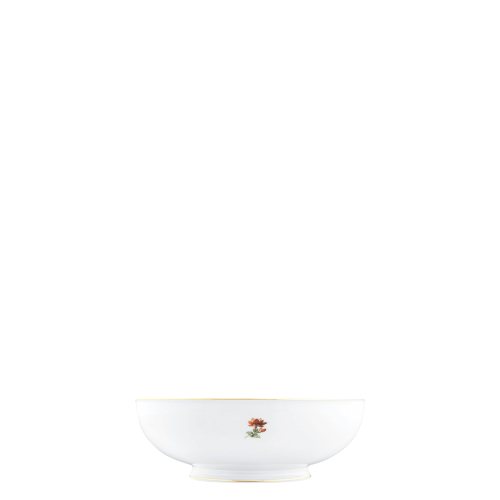 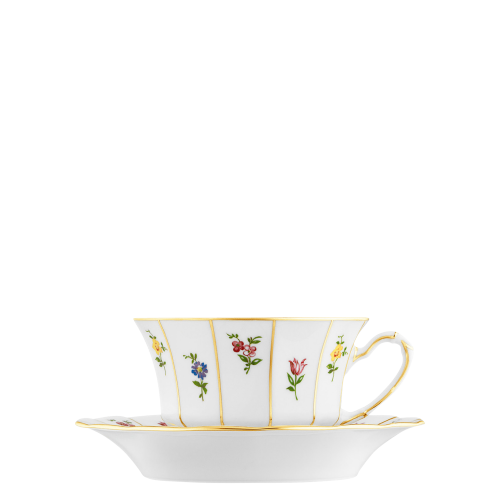 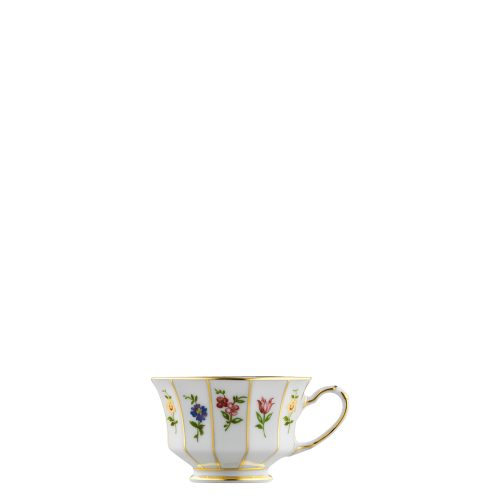 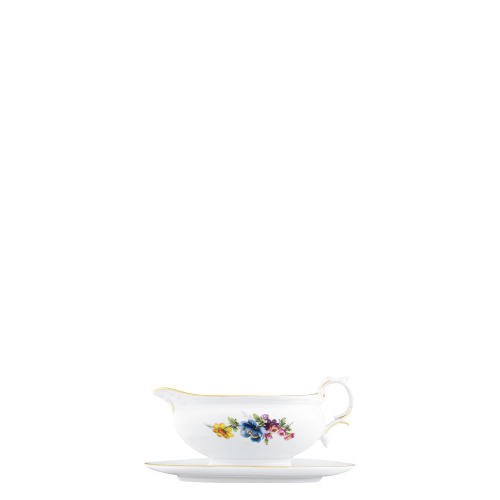 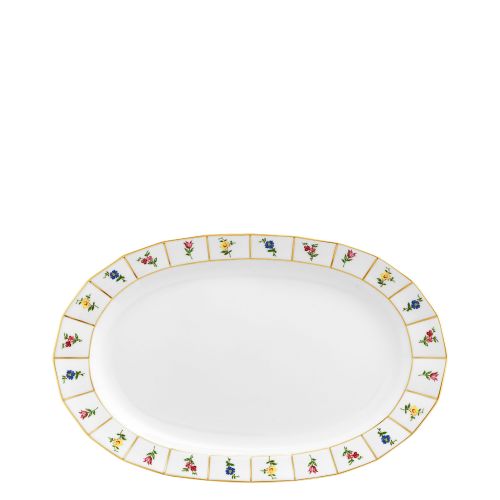 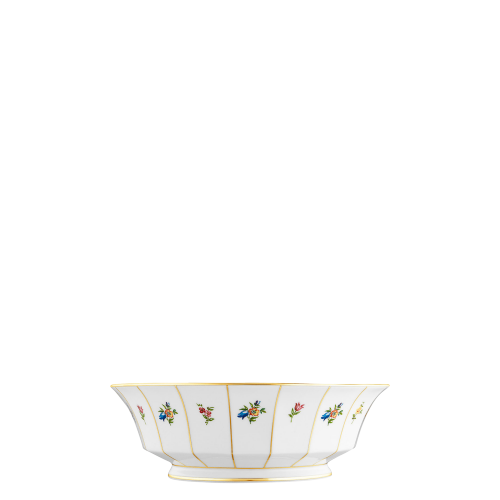 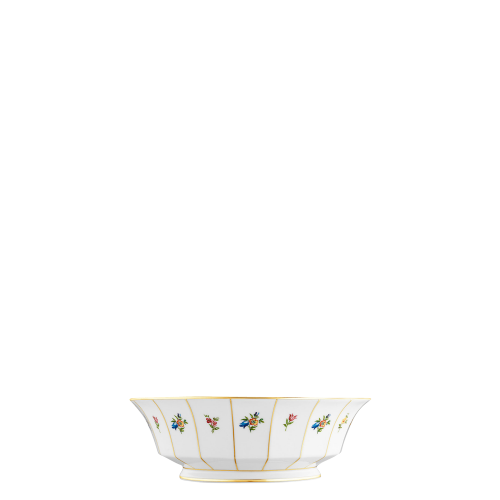 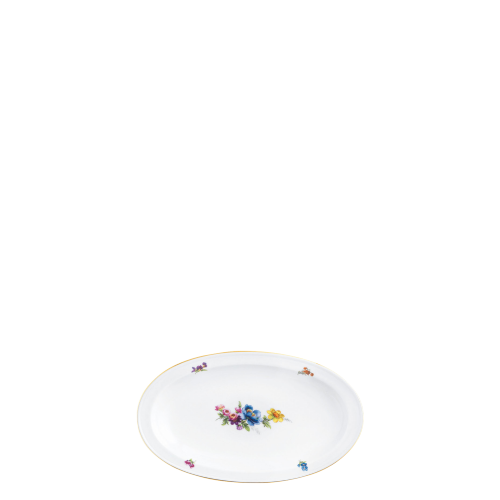 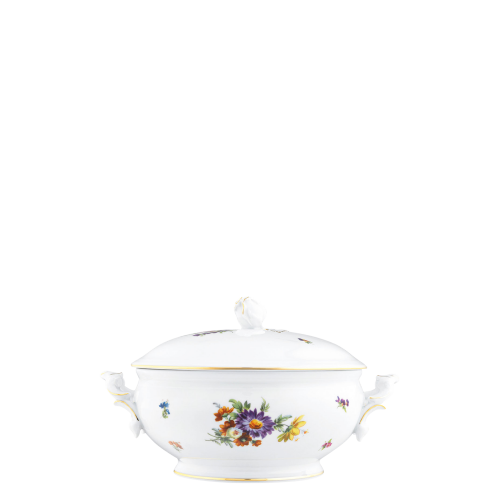 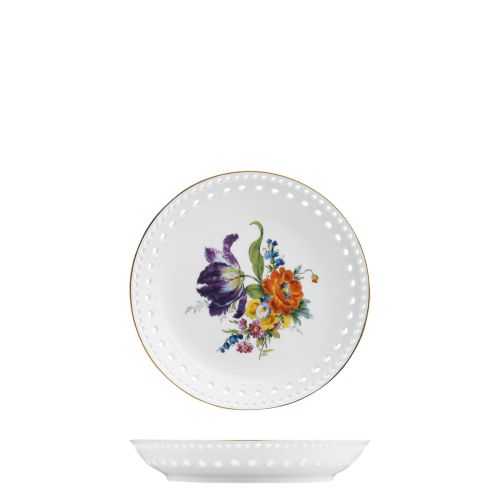 Used on traditional tableware such as GREQUE MILLE FLEURS or ALT FÜRSTENBERG BUNTE BLUME, golden elements will enhance the brilliance of the plates, cups, teapots and other items decorated with colourful flowers. 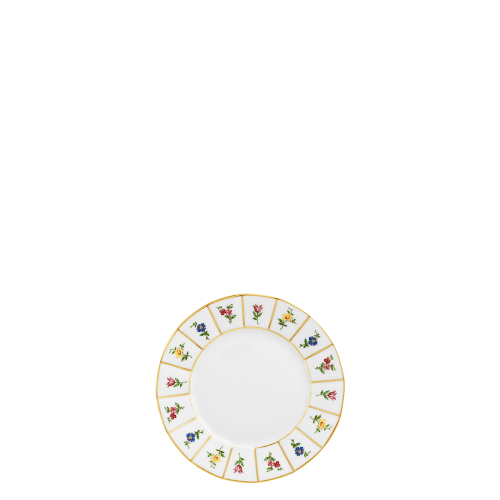 Gold lines also create a luxurious frame. 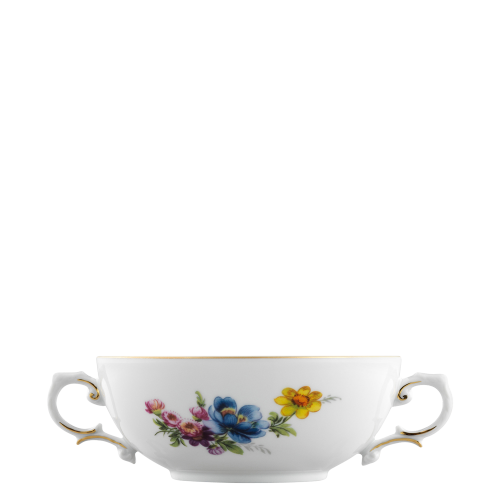 By contrast, the lemon yellow espresso cup with the gold moon design in the series AURÉOLE CLAIR DE LUNE is extremely modern. 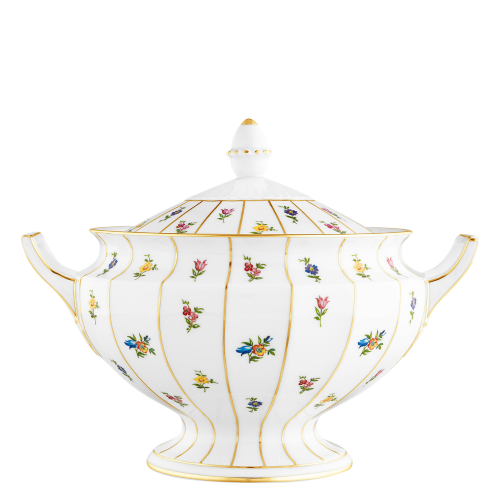 It elegantly and mysteriously reflects the various phases of the moon. 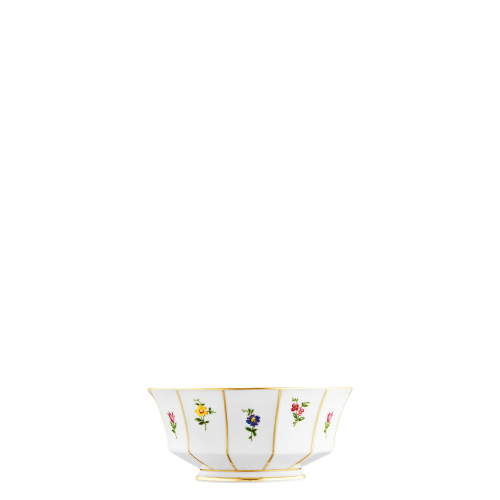 At the end of a festive dinner or as part of an elegant coffee table, the espresso cups – which are also available in the bright shades of Rouge, Orange and Violet as well as Citron – immerse the table setting in a magical play of colour. 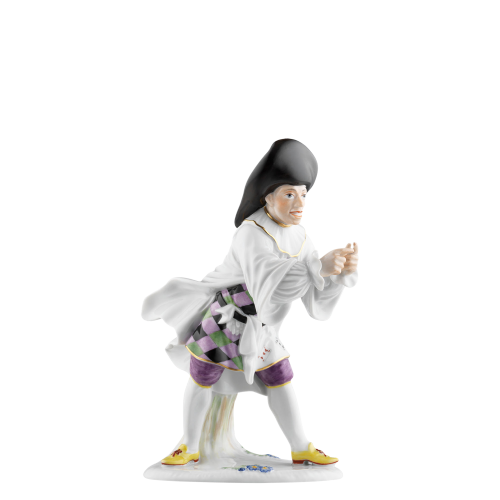 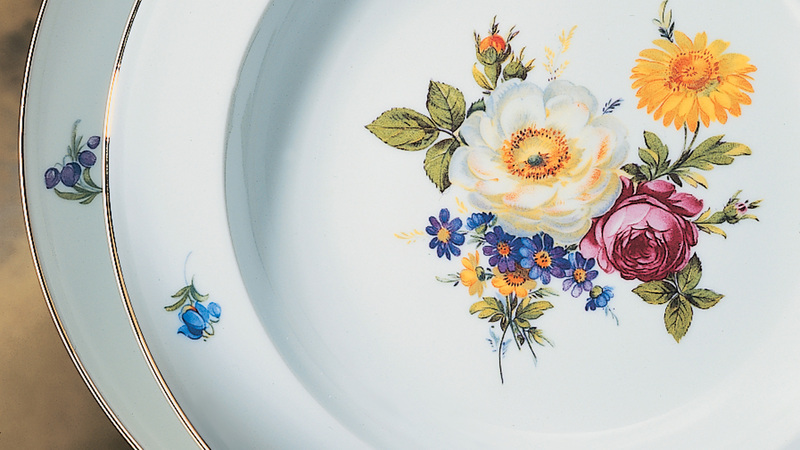 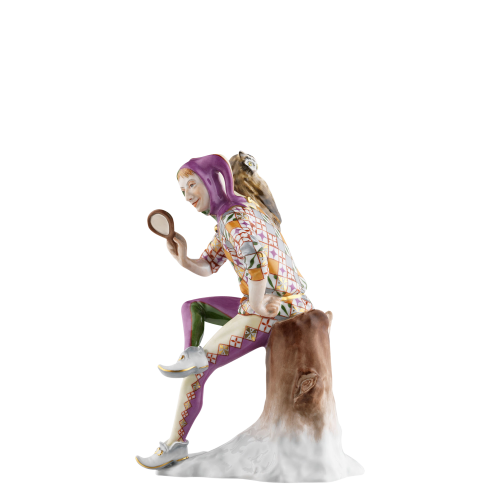 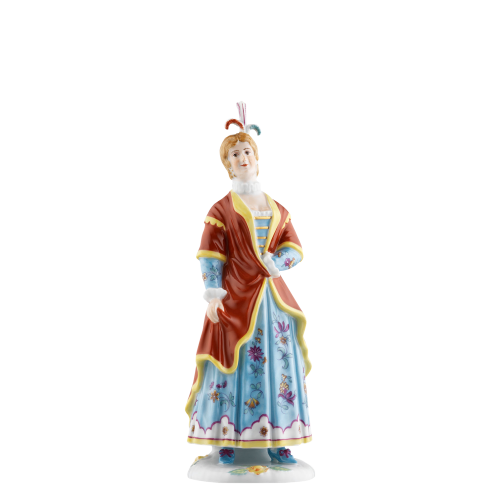 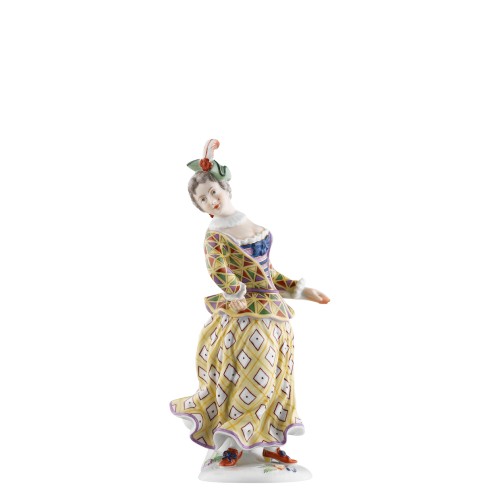 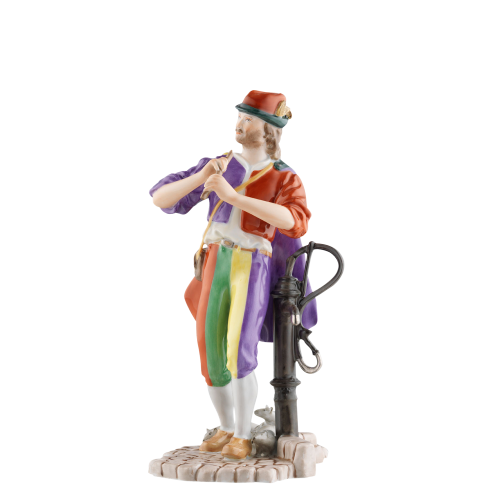 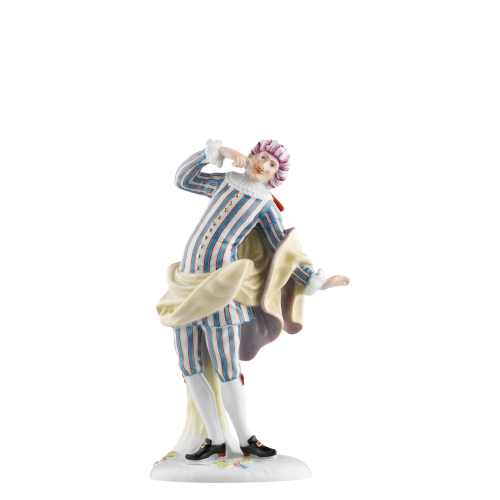 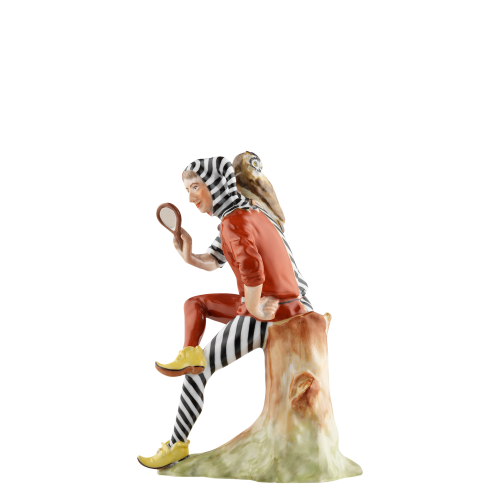 The long history of the FÜRSTENBERG porcelain manufactory is notable for its many creative and inspiring collaborations with internationally renowned artists and designers. 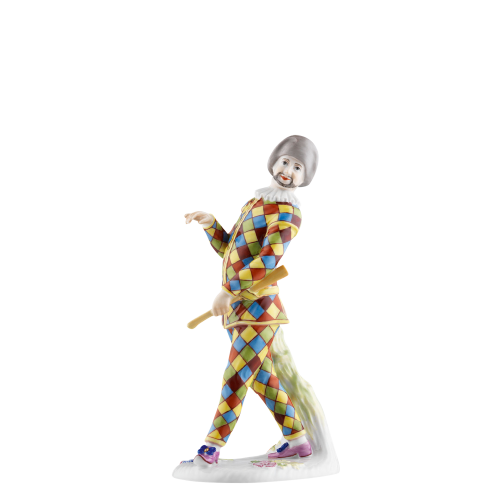 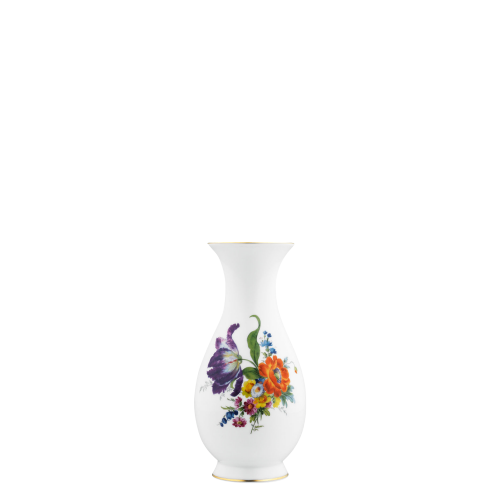 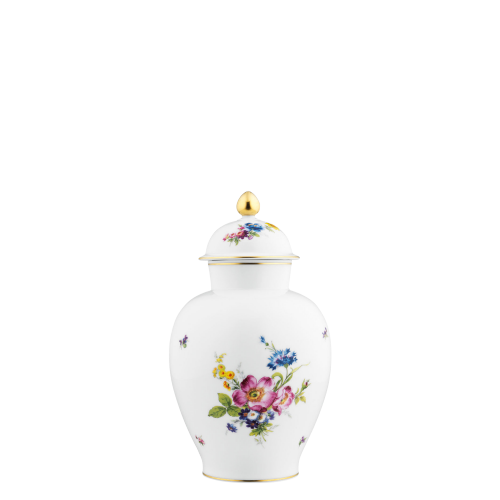 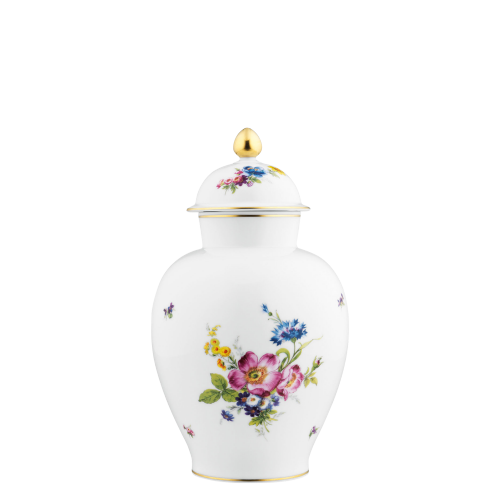 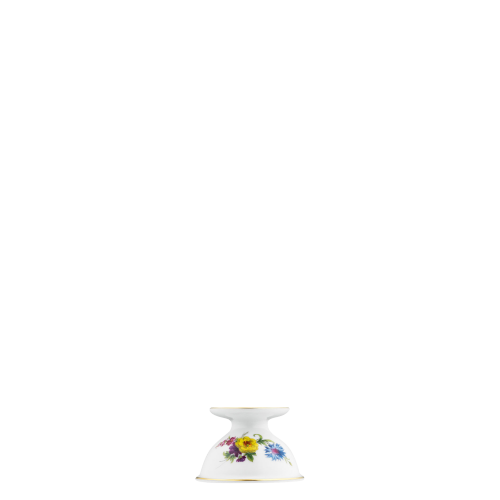 The online shop also contains a range of vases decorated in yellow that bear the signatures of well-known contemporaries. 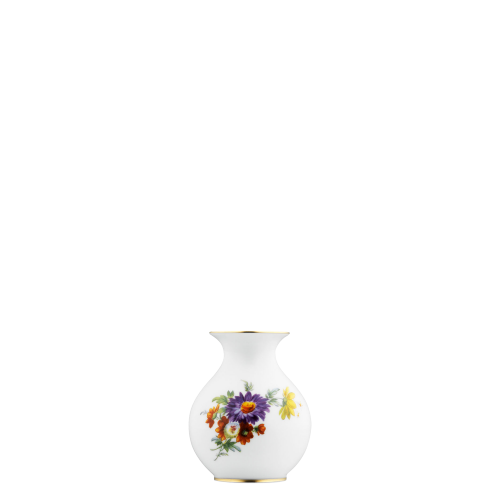 The architect Prof. Hans Kollhoff has designed an exceptional series of vases for FÜRSTENBERG that includes a version in yellow, and which moves in a state of tension between antique roots and modern interior design. The bellied vases in the MÖLLER range are classics that suit almost any setting. 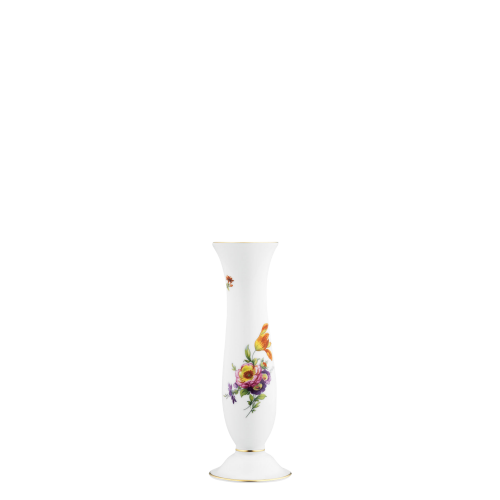 The porcelain vase LES FLEURS ARC EN CIEL by designer Sebastian Menschhorn of Vienna plays with a graphic floral pattern in which abstract, rainbow-coloured flower meadows gently merge with each other.